Representing more than 700 companies in a sector that employs 2.9 million people, UKHospitality speaks for a sector that represents 10% of UK employment, 6% of businesses and 5% of GDP. 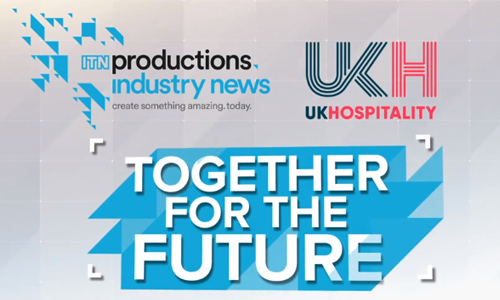 UKHospitality in collaboration with ITN Productions has launched its news and current affairs-style programme exploring our rapidly growing hospitality industry that is contributing immensely to the UK economy and hugely supporting employment of our future generations. UKHospitality provides campaigning, business advice and support services to companies like yours to help lift the burdens of managing compliance and administration. – We are dedicated to representing those companies operating outlets in the third space where consumers go out to socialise and which contribute so much to our local & national economy, well-being and social culture. – Between our members employ over 1.3 million people, operate 23,000 outlets and contribute 3% of GDP.